People are already planning their summer getaways. Traveling can be quite expensive, which is why so many people have to cut back on their vacations. But with the right credit card rewards program, you can save money on your trip and get extra bonuses while you’re on the road. Some credit cards are better for traveling than others, and the right one for you may not be the right one for someone else. It all depends on what kind of trip you take. Here is a list of some of the top travel credit cards for 2019 so you can get the most of your next vacation. 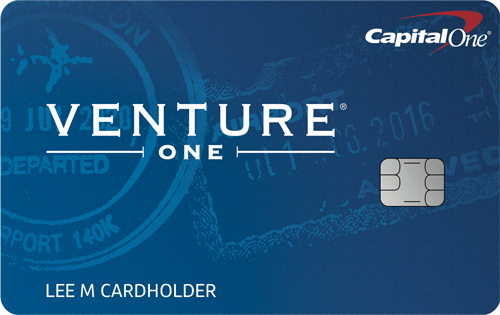 The Capital One® VentureOne® card is considered one of the best travel rewards card in the industry due to its low fees and great rewards opportunities. It offers 0% APR for the first 12 months on purchases, and then a relatively low 14.24% - 24.24% (Variable) APR after that. For those who like to travel abroad, VentureOne has no foreign transaction fees. You can enjoy your time without having to worry about currency conversions. Best of all, you can get 1.25 miles for every $1 you spend on the card, which can be redeemed for travel expenses. This is in addition to the 20,000 bonus miles you’ll receive (equivalent to $200) if you spend more than $1,000 on your card during the first three months of card ownership. These miles can be used on any airline or hotel, and have no blackout dates. The card has no annual fee. 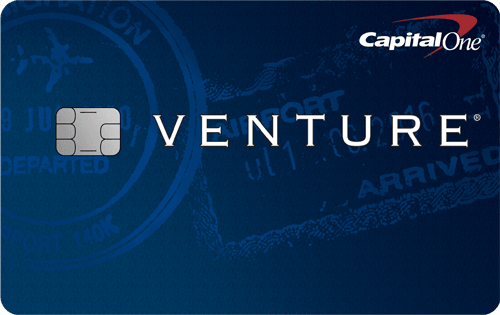 If you make a lot of purchases on your credit card, you may want to consider the Capital One® Venture® card. This does have an annual fee of $95 after the first year, but pays two miles for every dollar you spend. In addition, it has an upfront bonus of 50,000 miles once you spend $3,000 during the first three months. The Barclaycard Arrival Plus® World Elite Mastercard® is a terrific credit card for those who are planning to do a lot of traveling. The card offers 70,000 bonus miles if you make $5,000 in purchases in the first 90 days of card ownership. You’ll also get double the miles on all purchases that you make. It offers a 0% APR for 12 billing cycles on balance transfers if they are made within 45 days of opening your account, with a balance transfer fee of either $5 or 3% of the amount of each transfer, whichever is greater. There is an $89 annual fee for this card, but it is waived the first year. The card has no foreign transaction fee. The card may be difficult to obtain since it is designed for people with excellent credit scores. The Wells Fargo Propel American Express® card offers 30,000 bonus points when new cardholders spend $3,000 within the first three months of opening their account, which is a cash redemption value of $300. In addition to the introductory offer, you can earn 3X points on eating out or ordering in; gas, transit and ride shares; travel; and popular streaming services. All other purchases earn one point per dollar. The card also has a 0% introductory APR for 12 months on purchases and balance transfers (fees apply). Balance transfers must be made within 120 days of opening the account in order to qualify for the introductory rate and fee. After the introductory period, the rate will be 14.74%-27.24% (Variable) APR, depending on your creditworthiness. There is no annual fee for this card. Bank of America also offers a very competitive card for the the traveler: the Bank of America® Travel Rewards Credit Card. The card offers 1.5 points per dollar spent on all purchases with no limit, and the rewards never expire. Each point is worth one cent as a statement credit towards travel purchases, including hotels, flights, vacation packages, rental cards, cruises and baggage fees. Cardholders receive an additional 10% customer points bonus on every purchase when you have an active Bank of America® checking or savings account. If you’re a Preferred Rewards client, you can increase that bonus to 25% – 75%. New cardholders can earn 25,000 online bonus points if they spend $1,000 on their card within the first 90 days of opening the account. That is worth $250 in travel statement credits. New customers will get 12 billing cycles of 0% APR on new purchases. After the introductory rate expires, the standard APR of 17.24% - 25.24% Variable APR on purchases will apply, depending on your credit worthiness. The card has no annual fee, and something very important to travelers: no foreign transaction fees will be placed on transactions made outside of the United States. 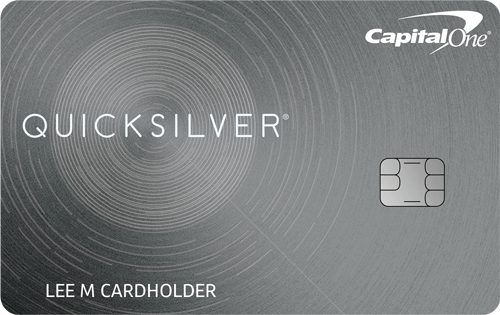 The Capital One® Quicksilver® Cash Rewards card is not necessarily a “travel” card but it is one of the best cash back cards on the market. Consumers receive 1.5% back on all purchases—there is no limit on the amount you can earn and no rotating categories. In addition, you receive a $150 bonus after spending $500 on the card during the first three months of ownership. There is a 0% APR on both purchases and balance transfers for 15 months and then an ongoing APR between 16.24% - 26.24% (Variable). There is no annual fee or a foreign transaction fee on the card. The Chase Sapphire Preferred® card is also one of the top travel cards on the market. Cardholders earn Ultimate Rewards points that can be used in a variety of ways: on many airlines, hotel chains and even as Amtrak Guest Rewards. Chase has an attractive introductory offer for new customers: 50,000 points after spending $4,000 on new purchases within the first three months of being a cardholder. If you redeem for airfare, hotels, car rentals and cruises through the Ultimate Rewards website, points are actually worth 1.25 each. So this introductory offer is the equivalent of $625 if redeemed through Chase Ultimate Rewards. As a cardholder, you earn two points for all travel and dining expenses at restaurants, as well as one point per dollar spent on all other transactions. There are no limits on the amount of points you can earn with this program. The Chase Sapphire Preferred card comes with free 24/7 concierge service. Simply call and you can get assistance with reservations and travel questions. In addition, they have 24/7 Dedicated Customer Service. When you call, you’ll be connected with a real person immediately. But unlike many other cards on the market, there is no introductory offer on the APR for a certain period of time. The ongoing APR is 18.24% to 25.24% variable, depending on your credit worthiness. The annual fee on the card is waived for the first year and is $95 thereafter. There are no foreign transaction fees. The Gold Delta SkyMiles® Credit Card from American Express is a solid travel card. Cardholders can receive a bonus of 60,000 miles once they spend $2,000 during the first three months of having the card. From now through April 3, 2019, you can receive a $50 statement credit after making a Delta purchase with your card during these first three months. You earn two miles for every Delta purchase, including tickets, seat upgrades and any in-flight purchases made with this card. All other transactions earn one mile per dollar. The first checked bag for a cardholder is free if the ticket is purchased with this card; this can be a savings of $60 on a roundtrip Delta flight. The APR on the card is 17.99% to 26.99% depending on the credit worthiness at the time of application. There is a $95 annual fee which is waived during the first year.